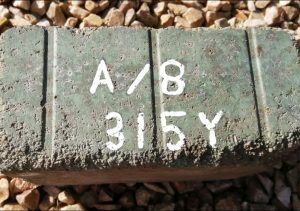 Home / Scottish brick articles misc / Ball Mill, Manuel Works, Whitecross. 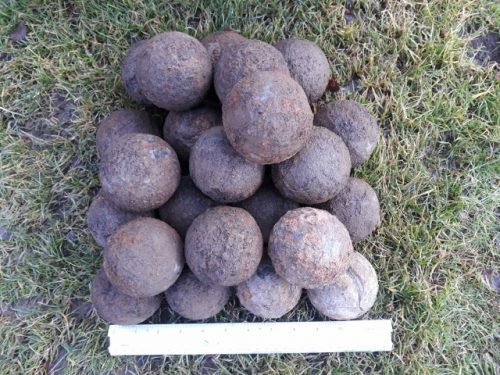 The following steel / iron spheres were found following ground works taking place at the Manuel Works, Whitecross. 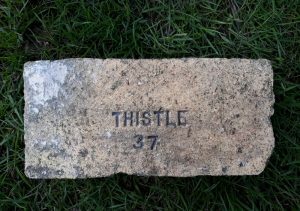 Charlie Sim states – ” those iron balls were for the Johnson ball mills there were 4 of these, 2 in each mill shed. 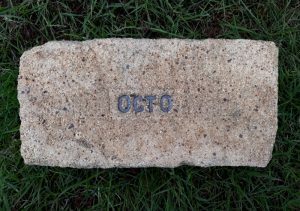 They were the final process on the crushing lines and pulverised and heated the bauxite aluminium into powder like cement for mixing. These were very hot and noisy areas to work in. 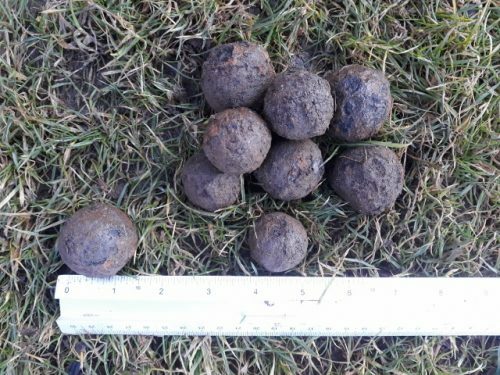 The balls were about 3 inches in diameter and the smaller ones are used and discarded. 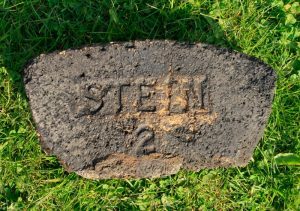 These were stored on the right hand side on entry to site. The small balls are worn. 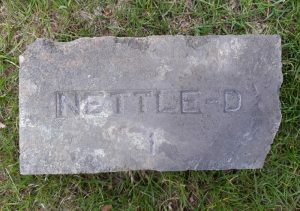 That was the area where one of the mill sheds was. They were brought in steel oil drums. Once you recharged the mill the drum was left and all the small ones would go into the screeners and dumped into the drums. 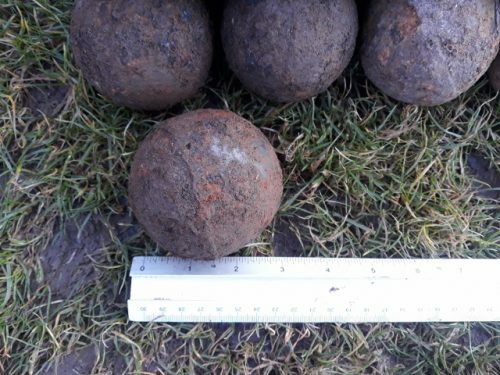 Below – 23 x 3″ diameter steel balls found at the Manuel Works, Whitecross. 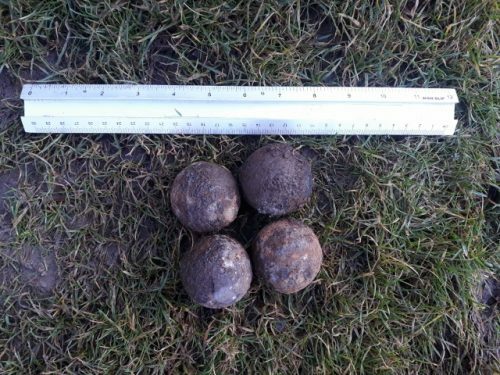 Below – 4 x 2″ diameter steel balls found at the Manuel Works, Whitecross. 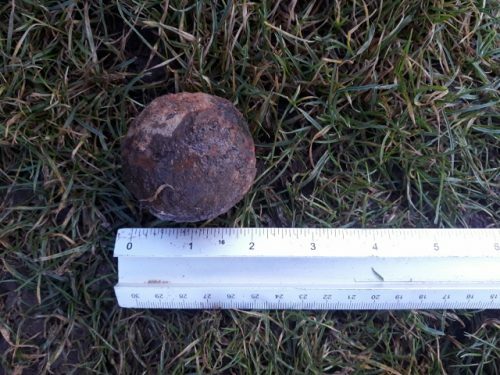 Below – 9 x 1″ – 1 1/2″ diameter steel balls found at the Manuel Works, Whitecross. 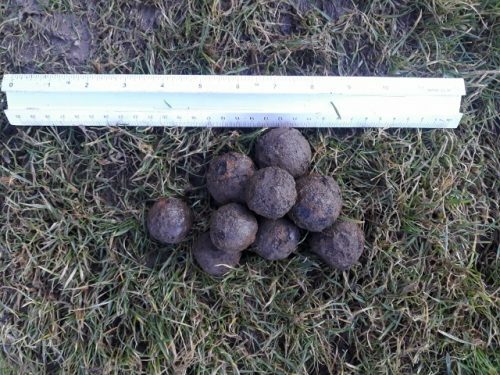 The balls below range from a 1″ diameter to a 1 1/2″ diameter. 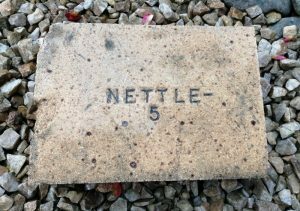 Previous Article 1/24th scale model kiln, designed and crafted by Hazel Wyle.